In the year 1598 a little known printer in Middelburg, Holland, started publishing a map collection, Caert-Thresoor, in reduced form. 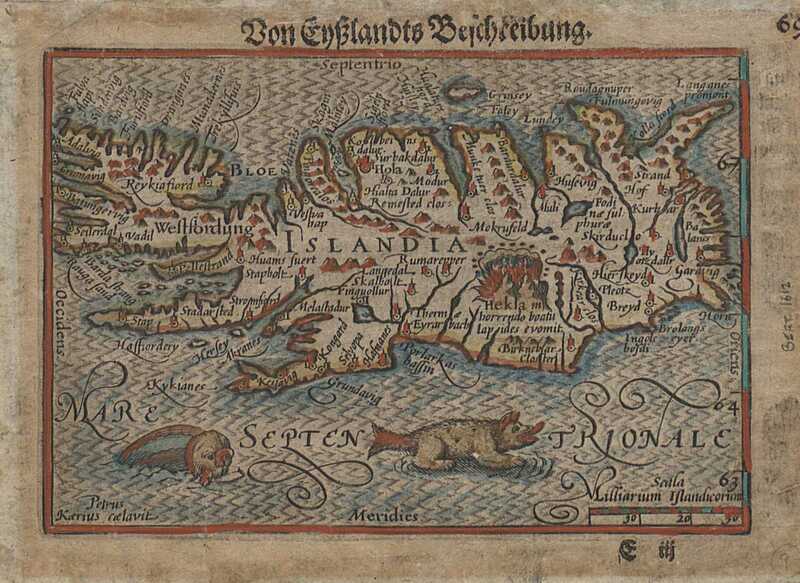 In it we find a map of Iceland with a inscription in the bottom left hand corner that says "Petrus Kærius cælavit". It could mean two things, that this individual did the engraving or that he was the author of the map. But that was often the same man. 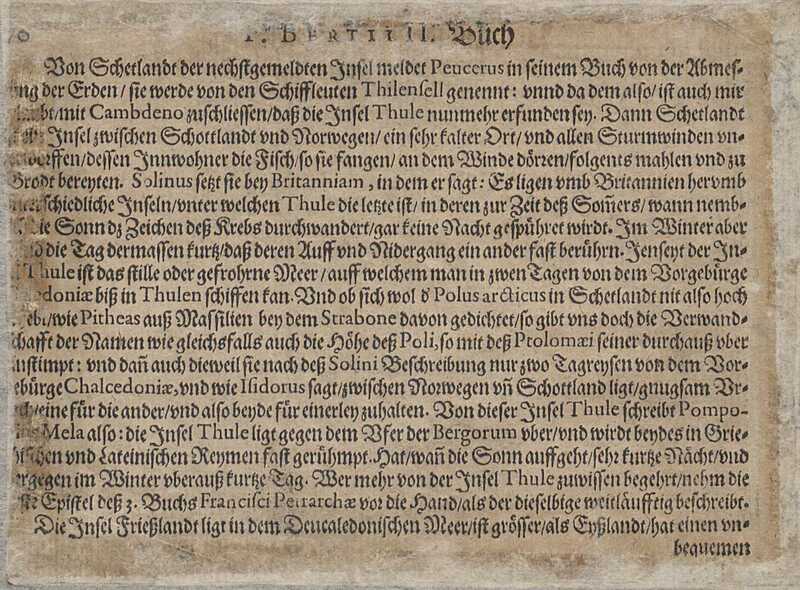 In 1600 a new edition of the book was published in Latin under the name P. Bertii Tabvlarvm geographicarvm contractarvm libri qvatvor. 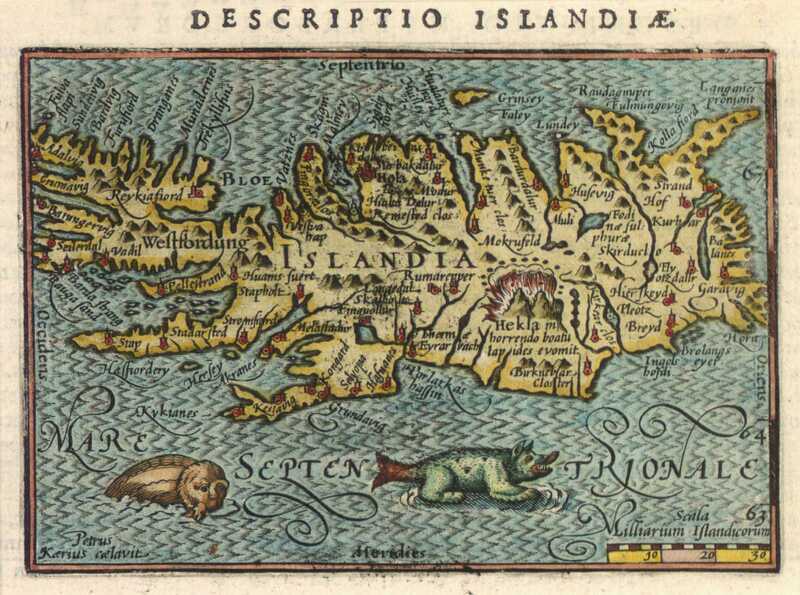 The maps are mostly the same as in the Dutch version but the names are written in Latin and the accompanying texts are expanded by Petrus Bertius. 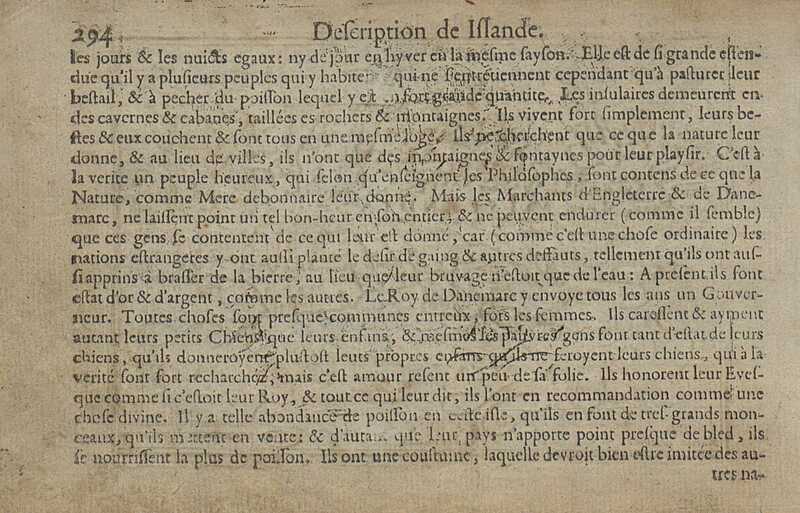 The next 12 years six new editions of the book appeared with unchanged maps but texts in Latin (Descriptio Islandiæ, 1600, 1603, 1606), French (Islande, 1602), Dutch (1609) and German (Von Eyßlandts Beschreibung, 1612). 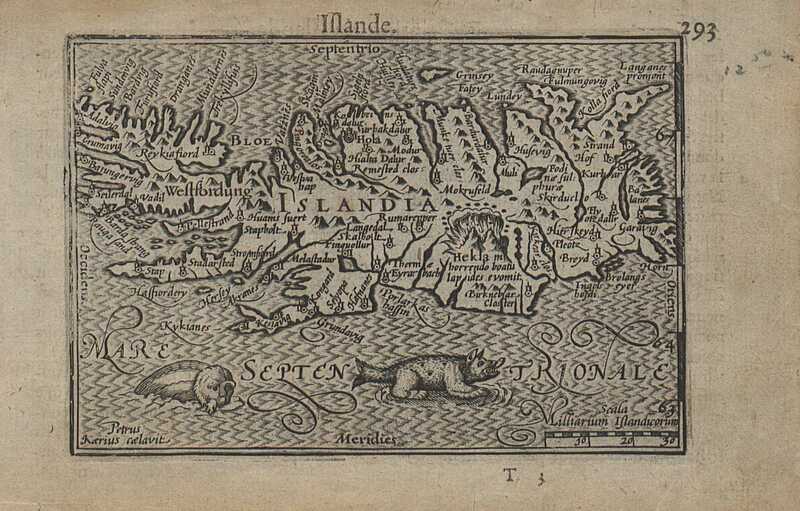 The map is based on Abraham Ortelius's version of the map by bishop Gudbrandur Thorláksson. It has nearly 80 names and the scale is in Icelandic miles. 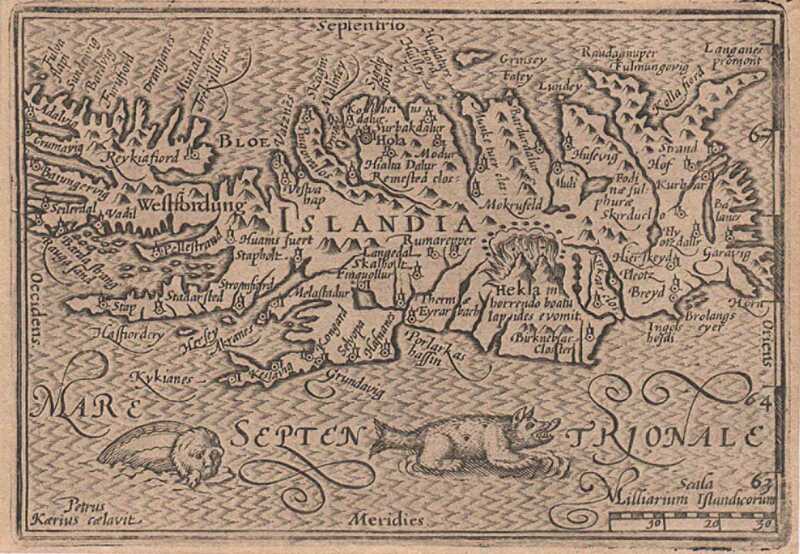 Two monsters are swimming in the ocean, one is new but other comes from Carta marina by Olaus Magnus.